Looking for a Restaurant in Marlow? Experience excellent food and fine wine in Crowne Plaza Marlow’s stylish Glaze restaurant, awarded an AA Rosette for culinary excellence. Alternatively, come and relax with lighter bites and a delicious cocktail in our Aqua Bar & Conservatory. Take in the view of the lake in the Conservatory over afternoon tea or dine al fresco on the terrace throughout the summer months. Whether you wish to enjoy an intimate meal for two or simply meet a few friends for drinks, we’ve got the perfect environment for you. Our Glaze Restaurant Marlow offers contemporary, eclectic cuisine in a great atmosphere. Choose from our new modern British À La Carte Menu or our Indian menu, all created in house by our new team of international chefs. We use a combination of fresh ingredients, raw culinary talent and a fiery passion for everything delicious. Our Glaze Restaurant operates daily, serving breakfast, lunch, dinner, and also offers Room Service around the clock. The seasonal menus feature freshly cooked local produce and international dishes from around the world. With floor-to-ceiling windows providing stunning and uninterrupted views over our terrace and lake, Glaze is the perfect restaurant near Marlow for you to indulge in a delicious meal and a glass of wine. Aqua Bar & Conservatory is a stylish and contemporary venue, open daily from 10am. It is the place to meet friends and enjoy light bites, coffee & cocktails. 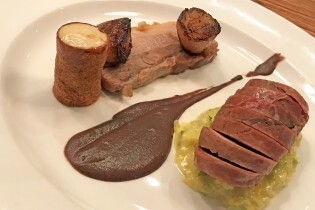 Ideally located in Marlow this Restaurant and Bar are perfect for an overdue catch up, an important meal or simply a quick bite. You don't have to be a guest at the hotel to enjoy Glaze Restaurant and Aqua Bar & Conservatory at Crowne Plaza Marlow. For more information or to make a reservation at our Marlow Restaurant call 01628 496 800 or send your enquiry to the reservation team at events1@cpmarlow.co.uk or enquiries@cpmarlow.co.uk. Our Glaze Restaurant is located in Marlow, near to Maidenhead and High Wycombe. 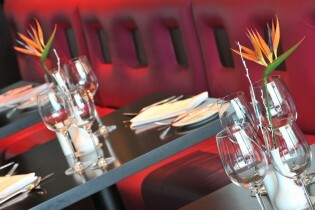 View our Marlow restaurant and bar image gallery. Enjoy our authentic Indian cuisine on offer from Agua Bar & Lounge & Glaze Restaurant. 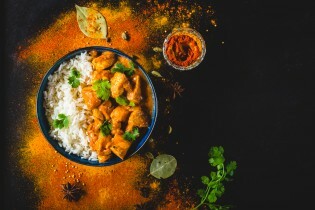 Our extensive Indian menu contains a range of great dishes, including starters and mains and all are prepared freshly to order.